Tired of the same old protein shake after workouts? Try refueling with recovery “ice cream” which will deliver a mix of carbohydrates and protein to refuel tired muscles - plus the peanut butter adds healthy fats! Now the reason we put ice cream in quotes is that our taste testers said while yes, it is a frozen treat, it isn’t truly ice cream! Either way, it is perfectly refreshing and a delicious recovery option. In a blender combine the frozen banana, protein powder, and water. If needed, add additional water to ease blending. Blend until creamy and smooth with an ice cream-like texture. Tip: this works best with a high speed blender like Ninja or Vitamix. Make your own protein bars with this simple recipe! Each bar has 9 grams of protein, 3 grams of fiber, and 190 calories. Then wrap up the bars in single serving bags or in pieces of foil - they are perfect to take on the go! Prepare a 9 x 9 - inch baking dish with non-stick cooking spray or parchment paper. In a food processor pulse the chickpea and the coconut milk until well combined. Then add the protein powder, peanut butter, sea salt, and maple syrup. The mixture should be thick and sticky. Transfer the mixture to a mixing bowl and add the oats and chia seeds. Stir until well combined. Add the mixture into the prepared baking dish. Refrigerate at least 4 hours. Cut into 4 bars and serve. Store bars in a air tight container and refrigerate or even pack in single serving bags or wrap in foil. 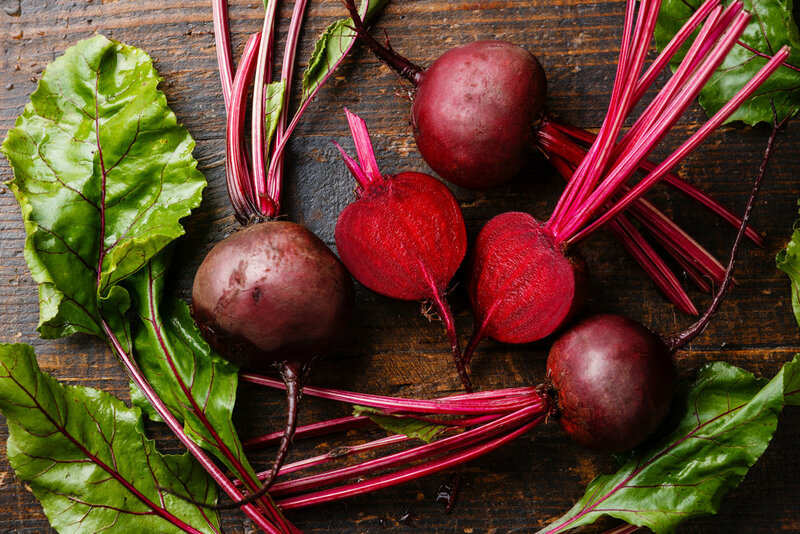 You may have heard that there are benefits to performance from taking beet juice or beet root powders but what about whole beets? Yes! Whole beets can provide performance benefits. There is some research that does link whole beets to performance gains as well. For example: A 2012 study (Journal of the Academy of Nutrition and Dietetics) examined the effects of whole beets on a small group of men and women. They underwent treadmill testing to examine the effects of whole beets on performance. The one group consumed 200 grams of baked beet root (about 1 cup of roasted beets) 75-minutes before a 5 km run and the other group consumed a cranberry relish as a placebo. The result: the group that consumed the beets was 5-percent faster in the last 1.1 miles (1.8 km) of the run. If you have never tried beets before, we suggest roasting them. The roasting process brings out a hint of sweetness in the beets. Trim the beet greens and bottom portion of the beet (long and then.) Scrub the trimmed beets with a vegetable brush. Then slice the beets into quarters (pictured right). Place the beets on aluminum foil, once all the beets are on the foil cinch the foil to close all the beets in the foil in a packet. Place the packet of beets on a baking sheet. Bake for 30 - 45 minutes, depending on the size of the beets. Then carefully remove the beets from the foil, onto the baking sheet, drizzle with olive oil, and continue baking for another 10 - 15 minutes. Once the beets are cool enough to work with, slip the skin off from the beets. Enjoy the beets as in or try on top of a salad with pumpkin seeds, feta, and your other favorite salad toppings (example pictured below)! Another convenient way to incorporate whole beets into your routine is with Love Beets - they are ready to eat beets that are available in containers in the produce section of the grocery store. Check out the delicious flavors or stick with the traditional plain beets. Q: What was your motivation or the idea behind Juti Bar? The Juti Bar was inspired by both my mom's healthy cooking habits and my desire to have a healthy on-the-go breakfast. I was working at a startup with a long commute several years ago and I was eating a bagel with cream cheese on the way to the office every day. I wanted something healthier but I didn't have time to sit down and have a bowl of oatmeal. When my mom first made the original Juti Bar, it was love at first bite! My on-the-go breakfast every day soon became a Juti Bar and a banana and I immediately noticed that I felt a lot more natural energy and clarity of mind after eating my Juti breakfast each day. Since then, my "Juti Bar A Day" habit has become a very happy and healthy addiction for me. Q: From your perspective what are the nutrition highlights of Juti Bar? Each Juti Bar is very nutritionally dense without any fillers or preservatives or anything that the body doesn't need. If you look at the nutrition label, you will notice that each bar contains a well-balanced mix of healthy fats, protein and fiber. That combined with the superfood of chia seeds helps make the Juti Bar the most satisfying snack or meal replacement available today. Each ingredient in the Juti Bar is certified organic and gluten-free and the bar itself is certified organic and certified gluten-free. As the company founder, I went through the extra steps for the certifications and invested the extra time and money and energy in those because I want to make sure that each Juti Bar is the very best food that you can put into your body. We continue to get rave reviews from nutritionists and other health experts from across the country. So if you're not sure if the Juti Bar may be good for you, I encourage you to ask your nutritionist or the healthiest person you know to read the Juti nutrition label and let you know their honest opinion. Q: What do you suggest these bars are used as - snack, meal replacement, part of a meal, etc.? I personally eat the Juti Bar as either a small meal replacement or as a snack to fill one of the hunger gaps in my day. Since it is so easy on the digestion, it serves as a great pre-workout snack or post workout recovery food. Many of our customers eat a Juti Bar a day as part of their normal routine and they typically eat it at the time of day when it's most challenging for them to have a healthy food option at their fingertips. When the Juti Bar was first created, my favorite way to eat it was to have one with a banana for breakfast and that easily held me all the way until lunchtime and beyond. Some of our customers who are teachers choose to eat a Juti Bar at lunch time so they can have a good breakfast and dinner at home with their family each day, and they can continue to work at their desk during the afternoon when they are busy with their students. 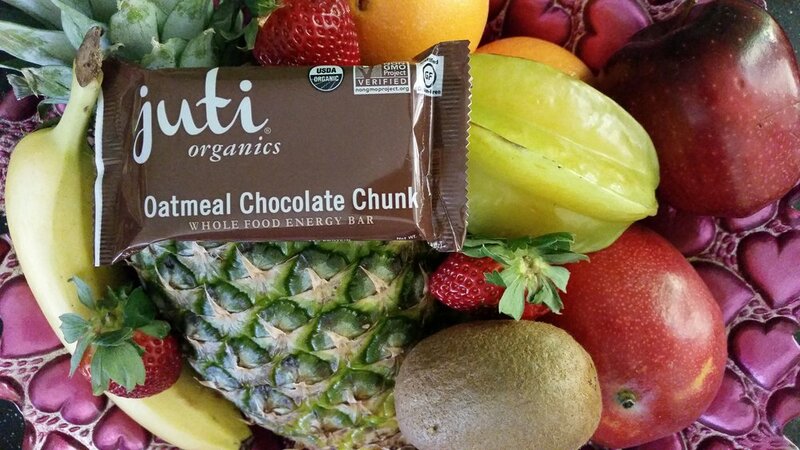 Q: Besides eating the bars, are there other tips you can share on how to incorporate Juti Bar into an eating routine? "Routine" is a very good word when it comes to eating Juti Bars because I recommend incorporating a Juti Bar a day into your routine so you can start to see both short-term and long-term health benefits as a result. If you want to really put Juti Bars to the test in your life, I suggest you think about your typical day and your typical week and identify the most challenging time of day for you to eat healthy food. That could be your breakfast or your lunch or your mid-afternoon snack or your food right before your workout. Whichever time is most challenging for you, that is the time to start to eat a Juti Bar and see how your body feels during the first several hours after you eat one. I hear from customers all the time that they got addicted to how good their body feels after eating a Juti Bar. For the customers who eat it before they work out, they typically have better workouts and aren't concerned anymore about running out of fuel while they are exercising. Other customers have told me that knowing that they're going to eat at Juti Bar for breakfast in the morning allows them to sleep more soundly the night before because they're not stressed about how they're going to prepare a healthy breakfast and the time and energy that it takes to do that. Knowing that they can just grab a Juti Bar out of their fridge or freezer is very comforting to them. So to sum it up, you want to pick a time of day that you think will work best for you and then give it a shot and see what results you get. Because results and feeling good are the name of the game! Q: If you could give one tip to parents, athletes, and coaches, what would it be? If I could give one tip to parents, athletes and coaches, it would be simply this... get comfortable making small changes and observing what results those changes bring into your life. This applies to the parents, athletes and coaches as well as all the individuals who they influence. Each of us are at different stages of health and we each have different levels of sustained energy throughout our day. If you want more healthy energy so you can feel better throughout the day and perform better in school and in competition, my best advice is to identify one small change that you can make, then make that change today and consistently make that change every day for the next one to two weeks or more. You just need enough time to observe the results that that change brings to your life and your energy levels throughout the day. This tends to be great advice for parents, athletes and coaches because they can help observe the results that the individuals making these changes are starting to see in their lives and in their athletic performances. And once you've implemented one small change and notice positive results, move on to the next change and then the next and the next. It's as simple as that. Busy schedules can be challenging, yet, athletes need to make each meal count to deliver the nutrients their body needs to fuel activity. 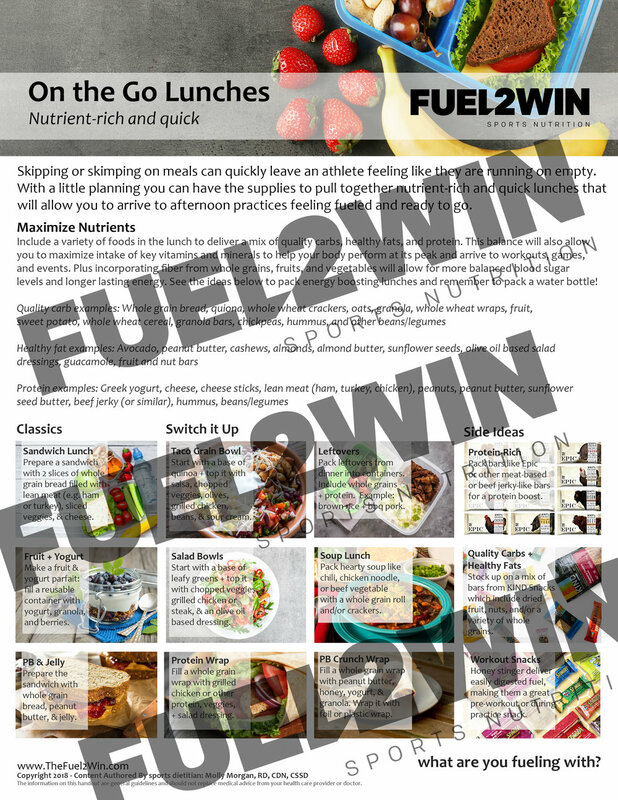 Check out the latest handout, On the Go Lunches in the Fuel2Win handout collection, available now! These peanut butter chip energy bites are absolutely delicious and they are whole grain based! They are perfect to keep on hand to fuel your athlete. 1. In a mixing bowl combine the honey, coconut oil, and peanut butter. Mix until well combined. 2. Then add-in the rolled oats and chia seeds. Stir to mix together. 3. Finish with chocolate chips. 4. Cover and refrigerate for at least 30 minutes. 5. Then remove from the refrigerator and form into bites, about 1-inch each. 6. Place in a storage container or freeze! There are so many products out on the market, which makes it hard to know what products are worth taking and what products are truly beneficial. When it comes to boosting exercise capacity and combating inflammation - beets and tart cherries have been linked to helping the body. Check out this Q & A with BeetBoost, a unique product that combines the benefits of beets and tart cherries in one product. Also see below a special discount code for the product for Fuel2Win!! Check this product out: www.nutrigardens.com and enter code "fuel15" to save on your order! Q: What is unique about BeetBoost? Beet Boost is the first product of its kind to combine the benefits of high nitrate beet juice with concentrated, tart cherry extract rich in anthocyanins. The synergy of these two ingredients provides athletes with greater impact on performance than each ingredient alone. Beet Boost is also unique in that it contains no added sugars, flavors, or synthetic ingredients. Q: What does research show that athletes can benefit from having tart cherries and beets? Research shows that beet juice reduces oxygen cost which in turn enhances exercise capacity. This means athletes using Beet Boost can workout longer and stronger. Our beets promote vasodilation, increase blood flow, and boost oxygen availability to the brain allowing athletes to maintain mental clarity and quick reaction time during exercise. Science has demonstrated the benefits of tart cherry juice in accelerating recovery by reducing inflammation. Athletes who use tart cherry juice have decreased muscle pain after exercise, making it possible for them to exercise hard the next day. Q: Is there any benefit for non-athletes to take this product? Yes! Beet Boost provides benefits for anyone looking to improve their health. Beet juice is shown to lower blood pressure and improve cardiovascular health. Tart cherry juice reduces inflammation and pain associated with joint and muscle soreness. Each serving provides the nutrients equivalent to eating 4 beets and 40 tart cherries! Q: Will an athlete 'feel' the product working? The best way for an athlete to test the effects of Beet Boost is to drink a serving 30-60 minutes prior to exercise for 3 days. Take 2 days off, then resume using Beet Boost. Trialing the product in this way allows athletes to really notice the impact of Beet Boost. Q: What are some ways you can recommend someone to use this product? Beet Boost easily mixes with water and is intended to be used 30-60 minutes before exercise for maximum benefit. It pairs great with apple, orange, or other juices and can also be added to pre-workout smoothies or taken after exercise to maximize recovery. For overall health benefits, use Beet Boost daily either on its own or mixed into food. Some athletic programs will have specific products like tart cherry juice, protein bars, bananas, etc. that will be available at the gym. Use these items to supplement your eating routine! Review menus for dining halls that will be accessible and learn what is offered and what is open when. This will help you for step 2! Find out where the nearest grocery store is and a way to get there routinely to stock up on items that will keep you fueled while studying, between classes, etc. Check out this Snack Ideas handout for nutrient-rich snack ideas. Once you have done some research you can now craft together your food game plan! Taking time to think this through will help your plan become a reality because fueling your body doesn't just happen by accident. Be sure to consider your class, practice, and game schedule when crafting your plan out as some days will likely be more hectic than others. If you are living on your own learn or have access to a kitchen, this summer, learn to prepare some simple meals and snacks that can become part of your eating routine. For example, teach yourself how to make these Maple Sea Salt Energy Bites which could be an on the go breakfast or a great snack. Plan for at least 3 meals and 2 - 3 snacks to meet your energy needs! When it comes to fueling your body, consistency is key. Often times athletes focus more on their training consistency and less on their nutrition consistency. Yet the energy their body needs will come from the foods and beverages they take in. When food is an after thought, it can take a toll on the body overtime, especially when enough overall energy (calories) are not coming in. When you are routinely training hard, it is a must to fuel the body consistently. A lot of times athletes think more about what they are and are not eating on game or event days, yet the day to day is just as important. If fueling the body is neglected and not part of the focus, you will not get the maximum results out of your training. Although, there is a lot of complexity when it comes to the science of sports nutrition and fueling the body, first and foremost you must take in enough energy (calories) to match your training needs and goals. If you are looking to put on muscle but do not have enough overall calories coming in, it will be impossible to get the gains you are looking for. If you have no idea how many calories you need per day, work with a sports dietitian to get a custom plan designed to meet your training needs. Visit the SCAN (Sports, Cardiovascular and Wellness Nutrition Group) website to find a dietitian near you. Fueling the body is all about balance, focus on getting most of your calories from nutrient-rich foods: fruits, vegetables, lean meat, yogurt, milk, whole grains, avocado, olive oil, etc. And having the occasional salty snack food or dessert is okay! Sports dietitian Molly Morgan suggests her athletes follow a 90/10 rule... 90% of the time choosing the nutrient-rich choices and 10% of the time for the 'extras'". 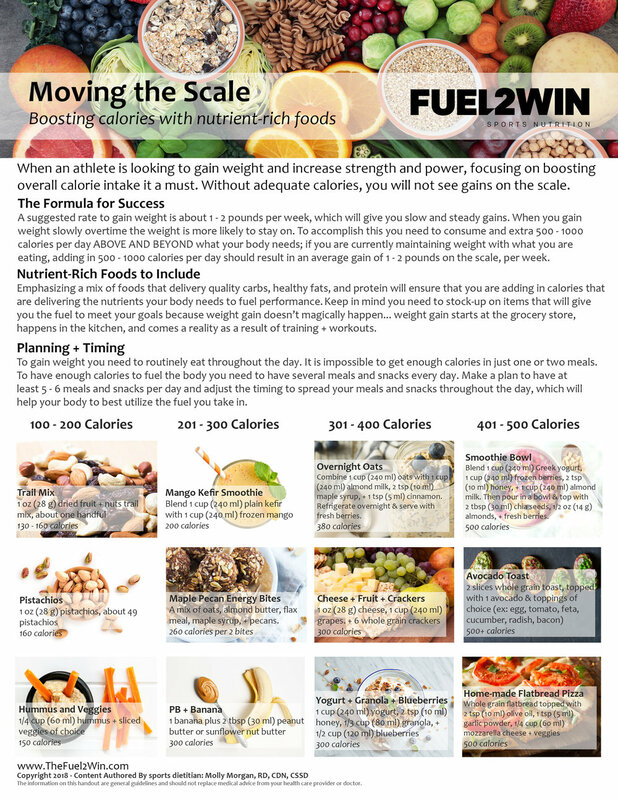 Click here to download this great Fuel2Win overview handout for quick tips and guidance to boosting your overall eating routine. When it comes to meeting weight goals, Fuel2Win founder and sports dietitian, Molly Morgan finds herself spending a lot of time helping athletes, especially early in their career gain weight. 1. Have a Plan - "Most athletes I work with need between 3000 - 4000+ calories per day and it can be done but when an athlete doesn't have a plan, it almost a certainty that the player will struggle with keeping their weight where they want it", states Morgan. She suggests athletes work with a sports dietitian to establish their energy need goals and this number will change and should change depending on training demands. A sports dietitian can develop a custom meal plan and meal suggestions that can help get an athlete to their desired weight. 2. Fuel Routinely - To get enough calories in Molly explains, athletes must have at least 5 - 6 meals and snacks per day. This helps to split up the calories and fuel and refuel the body. She finds that when athletes are trying to rely on just 3 meals, it is nearly impossible to get enough energy in to meet their energy/calorie goals. 3. Focus on Nutrient-Rich calories - Molly notes that she often sees athletes just adding in calories from anything from milk shakes to butter or Alfredo sauce. Although those will all help to increase calorie intake overall, it is best to meet calorie needs with nutrient-rich foods like: avocado, nuts, seeds, nut butter, olive oil, whole grains, yogurt, kefir, etc. These foods will also deliver important healthy fats, vitamins, minerals, probiotics, etc. Download the latest Moving the Scale handout for more tips and snack ideas! Hive Athlete and Personal Running Coach Carrie Miller shares some of her sports nutrition tips. She is a veteran of over 30 full marathons (includes 7 Boston marathons), 15 half marathons, ten 24-hour+ 200-mile team relays, and multiple 5k and 10k races. Q: Honey Stinger has a variety of products, what time (e.g. before, during, after) do you suggest athletes use the different products? A: I suggest that athletes eat a Honey Stinger waffle about 30 minutes to 2 hours prior to a race or workout. I also suggest taking a gel or a few chews right before the race or workout starts for added energy right at the beginning. During the race/workout, chews and gels are ideal. I love how small the chews are, making them easy to chew and manageable to take frequently. If a workout/race happens to be long and slow, waffles could also be a good option. For example, my husband just paced a 6:00 marathon, so taking waffles at this slower pace was great. After the event/workout I suggest consuming a Honey Stinger Protein Bar or the new Cracker N’ Nut Butter Snack Bar! Q: What is unique about Honey Stinger products compared to other products on the market? A: I love Honey Stinger products compared to the competition because they use a real and natural sweeter - honey. Products with refined sugar can cause sugar spikes and crashes, but the natural honey helps sustain energy at a high level for a longer period of time. Additionally, there are gluten free and organic options in so many amazing flavors that taste so great that you look forward to taking them. And, they don't upset your stomach! Q: If someone has an evening workout, practice, or game, which Honey Stinger product(s) would be ideal to have before? A: For evening workouts and competitions, there are caffeinated options of gels and chews to keep you firing on all levels! Some examples include the Chocolate and the Strawberry Kiwi Energy Gels, as well as the Lime-Ade and the Cherry Cola Energy Chews. Q: What is your favorite Honey Stinger product? And why? A: This is a tough one because I use and love almost all of the products, and I'm not kidding! However, I'd have to go with the chews because I think they've made the biggest impact in my race performance. For example, in a marathon or 50 mile race I take a few chews prior to the start and then about 1 chew per mile during the event. Before I started using Honey Stinger, I would get nauseous after using the various gels on the market. I usually had to resort to not taking much of anything during the 2nd half of a race because I couldn't stomach anything else. Using Honey Stinger Energy Chews during races has been a breakthrough in nutrition that led to better performance for me. After I used the Energy Chews to fuel my first 50 mile ultramarathon I was hooked, and there was no turning back. Q: Fueling the body is important for an athletes success. 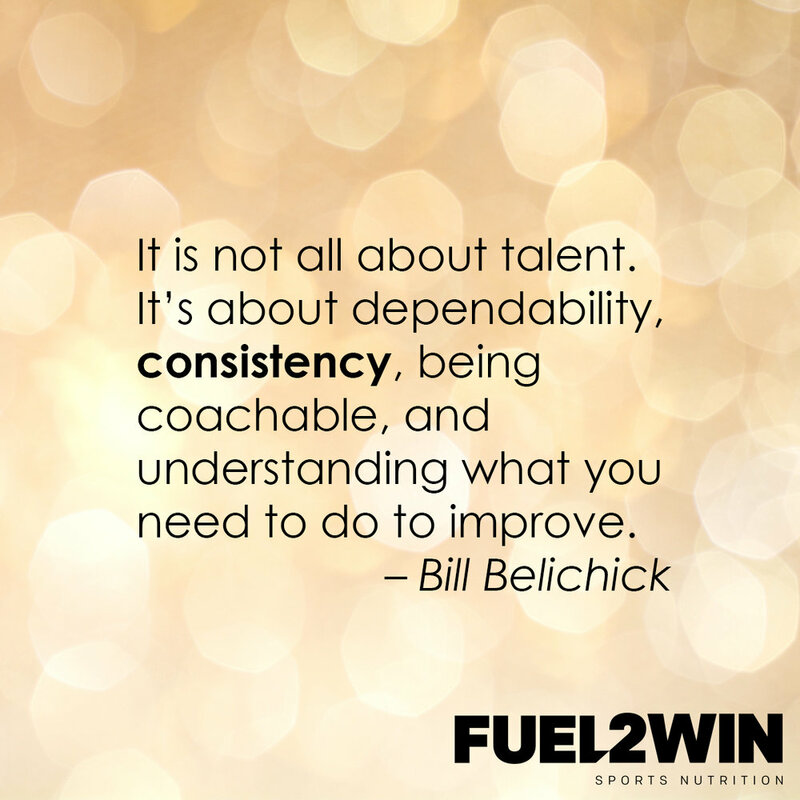 What is one tip you can share with athletes to fuel their best? A: Just because you are active does NOT mean that you can eat whatever you want. Your body needs high-quality real, clean food to keep firing on all cylinders! Also, it's important to fuel your body within 30 minutes of working out. Waffles, Protein Bars, and the new Cracker Bars are great for this! Headed to a lacrosse tournament? 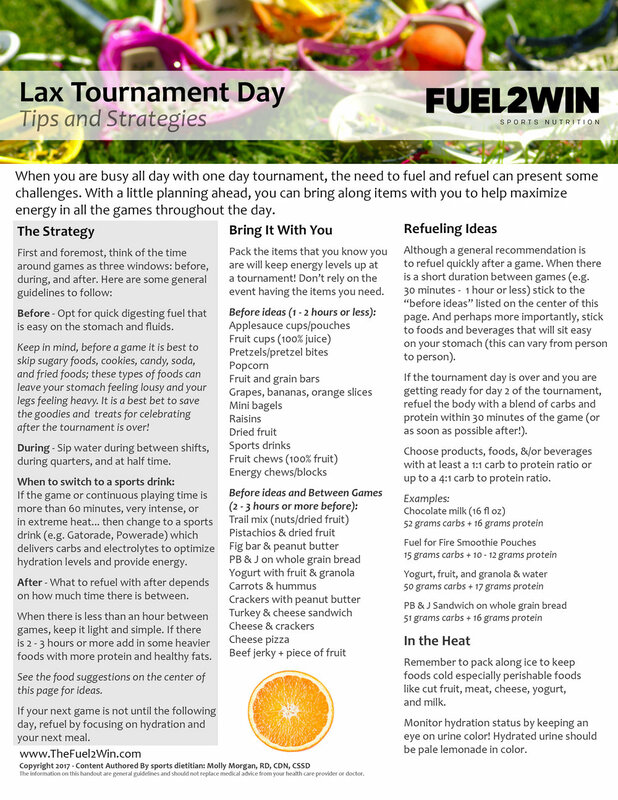 Download this Lax Day Tournament tips and strategies handout! Click on the image below or click here to download the file. Play strong! It is always important to have planned snacks that will deliver the fuel to keep your body running at it's peak. Although when your schedule is crazy it can get challenging. Sports dietitian, Molly Morgan's latest product tip is Fuel For Fire Smoothie Pouches. This product has a perfect blend of fruit and protein, each pouch provides about 100 calories, 15 grams of carbs, and 10 - 12 grams of protein. Plus the ingredient list of the pouches is simple - for example the strawberry banana smoothie ingredients include: banana, strawberry, water, whey protein isolate, natural flavor, citric acid, and ascorbic acid (aka vitamin c). The pouches are available in a variety of flavors including: tropical, sweet potato apple, strawberry banana, coffee, and banana cocoa. Note: The coffee one has 65 milligrams of caffeine, which is ideal for adult athletes over the age of 18 and would not be recommended for younger athletes. When should you add these pouches in as an athlete? When you are active for longer periods of time it is important to routinely have carbohydrates, some protein, and fat to keep energy levels up and balance blood sugar levels. This is especially for activities that are lasting longer than 1 - 2 hours. What is great about these Fuel for Fire pouches is that once they are opened you can put the cap back on - making this ideal to stick back in a bike jersey pocket, backpack, or golf bag. Another suggestion of when to include these notes Morgan, is for a quick on the go snack! "I bring a couple of these along with me for busy days to help keep our little guys fueled and I always bring them along when the boys are out playing a golf match," states Morgan. Fuel For Fire pouches are available at Wegman's grocery stores or also buy them on-line directly from Fuel for Fire. Energy bites are great to make ahead and have ready for a on the go breakfast or snack! This energy bite recipe pairs the sweetness of maple syrup with the crunch of pecans and sea salt - plus with a base of whole grains. Each bite will deliver: 130 calories, 2 grams of fiber, plus 3 grams of protein! 1. Combine all ingredients in a mixing bowl. Stir until combined. 2. Form into 1” blocks and transfer to parchment paper. Sprinkle with sea salt. 3. Place in a freezer bag or container and store in freezer or refrigerator. 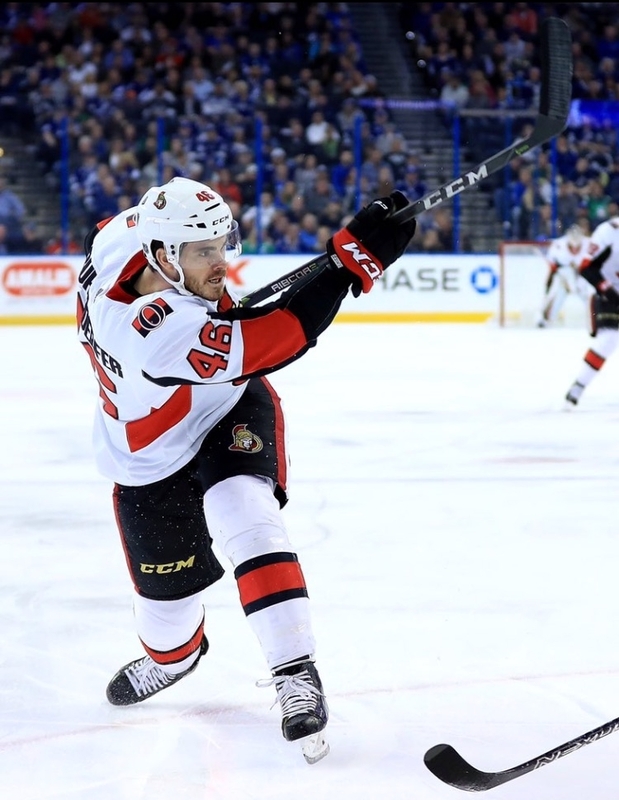 Check out these great tips from Ottawa Senators defenseman, Erik Burgdoerfer. Here's one quick tip from Erik: when it comes to performing at your best and making the progress you are looking for on and off the ice, nutrition is key. Q1: If you could tell a youth athlete one thing that they should focus on as it relates to their eating and nutrition patterns, what would it be? I would tell them it really does matter. When it comes to performing at your best and making the progress you are looking for on and off the ice, nutrition is key. When you start to take what you eat as serious as your training the results will surprise you. Q2: What is your favorite refueling meal or snack? Let’s go with snack. This is what I typically eat after my pregame nap approx. 3 hours before game time. For those that eat a huge pregame meal this may be a big snack but I prefer to space out my calories on game day. Q3: What is a favorite meal you like to cook? Can you share a simple recipe for it? Stir fry! It’s is a life saver when it comes to getting proper nutrition without a ton of work. Easy clean up and short cook time. It’s a very flexible dish. For those that try and stay away from soy in their diet try out coconut aminos instead of soy sauce, great similar tasting alternative! Another change I make in the summer to limit my carb intake is substituting brown rice, with cauliflower rice. Q4: Staying hydrated is important for athletes, what do you do to help ensure you arrive to games and practices hydrated? This is always a challenge for me as I lose a ton of fluids during games and practices. The easiest thing I’ve found is to constantly hydrate. Always have a bottle of water with you. Drink when you are not thirsty! If your body is telling you that you need water it’s to late, you are already dehydrated. Q5: What are three nutritious foods you always keep on hand and why? Let’s face it we all get lazy and want an easy option when hunger hits. I capitalized cooked Chicken because if it’s there and ready to eat you will make the healthy choice. Having fruit around is a great way to take in naturally occurring vitamins and boost energy. Nuts are my go to snack. Lots of healthy fats, help to maintain body weight in season and make you feel full! What sports dietitian, Molly Morgan, loves about these watermelon bites is that they deliver important nutrients like carotenoids, including lycopene, which is anti-inflammatory. Each bite delivers about 65 calories including a balance of healthy fats (from the watermelon seeds), quality carbs (from the dates + watermelon), plus protein (from the watermelon seeds). Plus watermelon has the amino acid citrulline, which studies have linked to decreased muscle soreness; although, note: most of the studies linking citrulline to performance benefits are based on using a citrulline powder, not from watermelon or watermelon juice; one cup of watermelon has 250 milligrams of citrulline. Developed by blogger Anya Shinall of Anya’s Eats, these amazing bites were the winner of Go Raw’s 2016 recipe contest. They incorporate both watermelon flesh and Go Raw’s sprouted watermelon seeds and are the perfect snack either pre- or post-workout! This recipe and photo were provided by The Watermelon Board. 1. Pit dates if they’re not pitted already and chop them in half. Place into a bowl of purified water and allow to soak for 1-2 hours. 2. Once dates are soaked, remove them and place them into a food processor. Pulse a few times and then add 1 cup watermelon seeds, coconut butter, watermelon, reserving ½ cup of the seeds for later. Add the mashed beet if you are using it. 4. Remove mixture from food processor, place in a small bowl and cover, allowing to cool in the fridge for 30 minutes. 5. Remove the mixture from the fridge and keeping your fingertips slightly wet, roll the mixture into balls and place only a plate. Once you are done rolling, add a few extra watermelon seeds to the top. Place the watermelon bites in the freezer for 1-2 hours or until nice and frozen! Pérez-Guisado, et al. Citrulline malate enhances athletic anaerobic performance and relieves muscle soreness. Journal of Strength Conditioning Resesarch. 2010 May;24(5):1215-22. 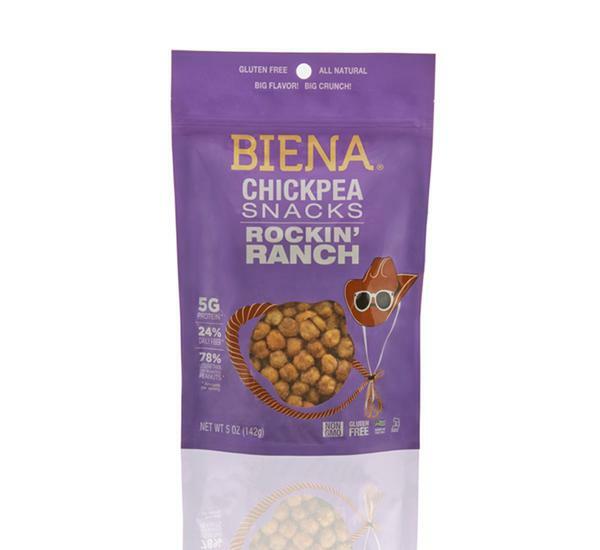 When it is time for a snack, reaching for Biena chickpeas is a great option, especially for athletes. They are crunchy, delicious, and packed with quality carbohydrates, protein, and fiber to provide longer lasting energy. When you are on the go, snacks like these are helpful to keep on hand to keep the body fueled. Plus they come in a variety of flavors including: Habenero, Honey Roasted, Sea Salt, Rockin' Ranch, Sour Cream & Onion, and more. Q1: What is one piece of advice you can give to young athletes about the importance of fueling their bodies? Take your nutrition seriously. It is your source of energy, recovery, and fuel. And it promotes a strong immune system and long term health. Q2: Do you have a favorite snack that helps to keep your energy up? I like to make smoothies as an afternoon snack. It allows me to ingest several important nutrients and helps me keep my weight and energy up throughout the season. I’ve been trying to get more vegetable servings into my diet so I add spinach to my smoothies and I don't even taste it. Q3: Staying hydrated is important, what are some strategies you use to keep up with your daily hydration? I made it a routine to have a glass of water first thing every morning. I also carry a bottle of water with me throughout the day to sip on. Urine color is a great indicator of hydration levels. If my urine is clear or light yellow I’m hydrated. If it starts to get a darker yellow I know I need to drink more water. Q4: Can you give players a sneak peak into your training day food routine? I try to always get organic/grass fed/wild/local foods to insure I get the omega three fatty acids from a grass fed diet and stay away from GMO’s and pesticides. I cook with coconut oil or olive oil to get healthy saturated fats. Healthy fats are a good energy source throughout a long season. I drink kefir and kombucha(probiotics) for gut health to keep my immune system strong. And fresh berries for a good source of carbohydrates and fiber. I try to stay away from processed foods. Q5: What is one healthy food that you can't believe you like now? Kale. I saw a recipe for sautéed kale with fresh garlic and coconut oil so I gave it a try. Its now one of my favorite veggies to mix in with dinner. I cook it so it has a little crunch to it and throw some sea salt on top at the end. Hi everyone! I'm Molly Morgan, the founder of Fuel2Win. Today's post is specifically for an awesome running event that is taking plan in upstate New York on April 29th, the Seneca 7. I have been lucky enough to run on a team three years in a row and have been runner 1, 4, and 7 - each leg equally challenging and fun. As a sports dietitian, I can say from a evidence-based perspective there are definitely do's and don't's to surviving your journey around the lake and from running the event three times, there are practical considerations that play into these recommendations as well. The day moves along so fast so it is key to have a team game plan as it relates to what you are going to eat to fuel your team for 77.7 miles around beautiful Seneca Lake. First: You must plan ahead. There will be very little time between transitions to stop or get anything along the way. Also the route can get pretty congested at points so having what you need with you is best. Good news! If you arriving in town the night before and stop into Wegman's, which is a great grocery store (if you're not familiar) and will have a wide variety of items for you to stock up! Second: Never try something new on the day of an event. If you are thinking of bringing along a new product to have during the event, try in first in a training run to know how you will feel! Focus on having foods that you know YOU can tolerate. For example, if bananas give you indigestion - bring along a different kind of fruit for quick energy! Third: You will not have much down time between your legs of the event so, as soon as you can tolerate eating and drinking after you run, do! Fourth: Drink plenty of fluids throughout the day - but don't over do it - it is all about balance. Listen to your body, if you are thirsty, sip more fluids to maintain hydration levels. If you are a heavy sweater or if you are running longer legs of the event, consider having a sports drink or electrolyte beverage to help maintain fluid stores. If you have other fueling questions, contact us and I will be happy to answer your sports nutrition question to help your team. Last but not least, HAVE FUN! Download this Seneca 7 Tips - Fueling Tips and Tricks! Click on the image below to download (for free) the tips sheet from the Fuel2Win handout store. Note: The Fuel2Win watermarks will not be on the download version of the handout. This Q & A features in the insight of Chris Downey, the Director of Sports Medicine at Binghamton University. Downey began his tenure at Binghamton on August 3, 2015 and oversees BU’s entire athletic training program, which includes eight full-time staff members and more than a dozen student-trainers. Q: In your work with college athletes, what is one nutrition mistake you see commonly made? And one nutrition strength you see commonly among athletes? Mistakes: Unfortunately, I see many nutrition mistakes with college student-athletes (poor hydration, not enough calories consumed, improper protein intake, etc.). In my opinion, there is two reasons for this: 1. Student-athletes truly are not familiar with what they should be consuming on a daily basis and before/after physical activity. 2. They have very demanding schedules that makes it difficult for them to schedule proper fueling. This is why many institutions have developed nutrition training tables and refueling stations. Strengths - I think student-athletes are eager/receptive to learn about how proper nutrition habits can benefit them and once they are instructed properly they will make appropriate changes. Q: Have you observed that well-fueled athletes meet their training goals or recover quicker? Absolutely. It is obvious to me when student-athletes are well-fueled versus not. Their training goals, recovery, and rehabilitation is always improved when fueled properly. What are the top areas related to nutrition that you think athletes need to focus on? In a general sense, I would like student-athletes to focus on hydration and caloric intake (not empty calories). What is a nutrition tip you can share with coaches or trainers should routinely reminder or talk to their players about? My biggest tip is to create resources for your student-athletes; such as, a registered dietitian or nutritionist they can meet with, water bottles for them to hydrate with, and refueling stations. It is a lot more likely for your student-athletes to make proper nutrition choices if they have resources available for them to utilize.